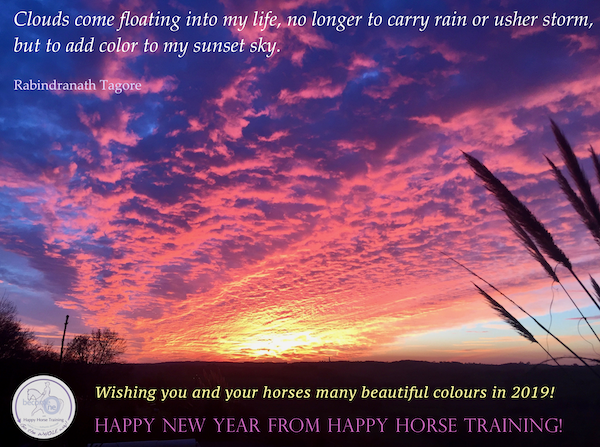 Happy New Year from HHT! Here in France the tradition goes that you have the whole month of January to offer your new year's greetings... well I left it to the very last minute this year, so sorry about that! 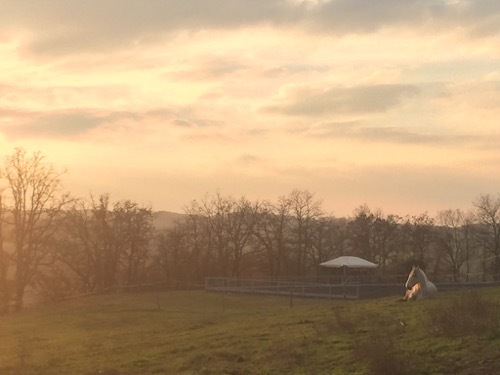 But I hope your year has got off to a great start, and I wish you a successful, fulfilling and above all happy 2019! Part of the reason I was late with new year's greetings is that I've been working hard on an exciting new project. 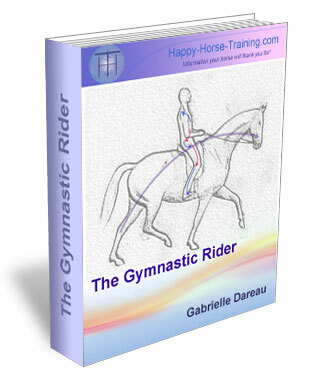 Later this year I will be opening the doors to an online course for the HHT postural riding method. 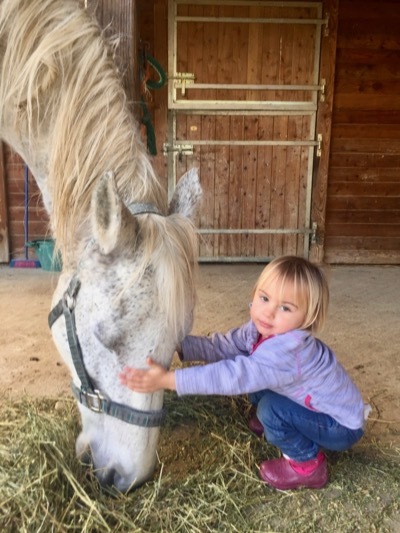 The BecomeOne Academy is an affordable long-term support program to take any rider through the steps of building the skills to connect with the horse in the truly harmonious balance of postural engagement. 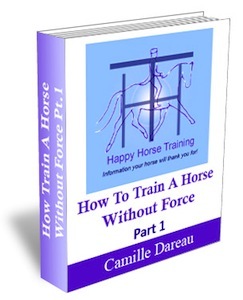 I'll give you more details in a future newsletter, but I'm really exited about this opportunity to make my riding method more available to those of you who are looking for real answers to finding oneness with your horse. 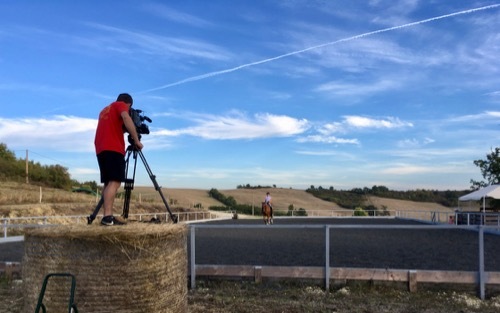 Filming last autumn for the tutorials that will be part of the BecomeOne Academy program. We were very sad to lose Tali just before the winter. He was the gentleman of the herd, but at the age of 24 his time had come to move on. Considering we though we might lose him 10 years ago, when he went through a healing crisis, it was a tribute to his strong nature that he pulled through to live out the many happy years of his retirement. Wonderful Tali who taught me so much. Tali's close partner Ca-Va was clearly in mourning after his death, but I had noticed her getting a lot closer to her sister Xas even before he went. I'm sure she would have taken it a lot harder without that relationship to fall back on. 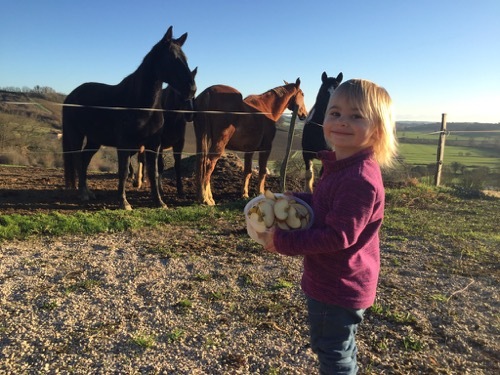 It's another example of how the herd always provides horses with the support they need, even in the face of loss. In November we finally organised a visit from Dan Astle-Carter, Equine Dental Technician from the U.K., to get all of the horses' teeth seen to. For various reasons we had not had Dan over for several years, and they were definitely in need. It's a good reminder of how important it is to have horses teeth checked at least yearly, and not just by any old dentist or vet either! 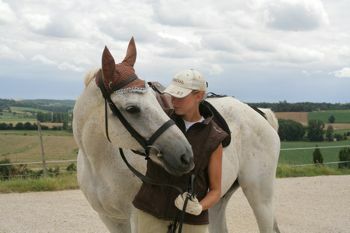 You usually know it when you've found someone you really trust, and who gets to the root of any problems you sense may be coming from your horse's mouth. All of the horses that I'd felt were experiencing blocks in their work related to their mouth turned out to have fairly major issues which Dan corrected, so I'm excited to start up their work again and feel the difference! 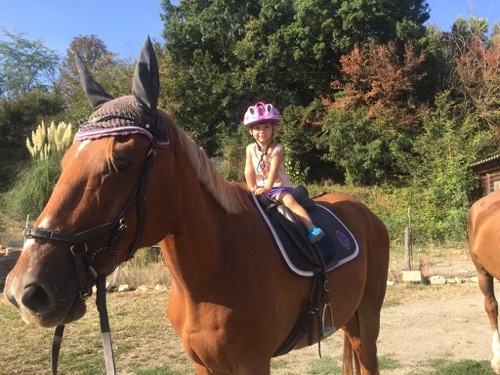 My daughter Licia started riding 'properly' last summer, at the age of 2, and she absolutely loves it! The nice long lane between the stables and the arena is perfect for letting her have a little ride every time I work a horse, only problem is she doesn't always want to let me take over when we get to the arena! Totally at ease on 17hh Lulu! 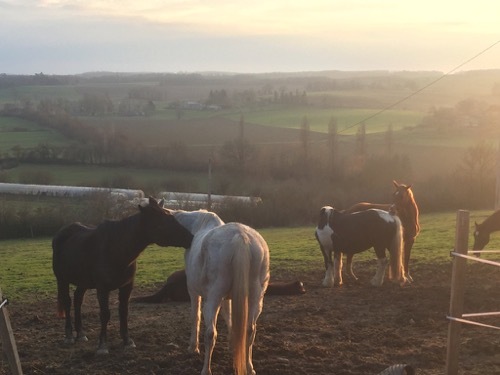 The HHT herd have been enjoying their winter break, at least until the last few weeks when the wind and rain has hit us! Not that bad weather seems to bother them much at all these days - The shelter has been mostly empty since the summer!